Sorry to say, reading this story on your computer, tablet or mobile phone screen can cause eye strain and other vision related debilitating conditions. How you see the world – more specifically, the Digital World – can have an adverse affect on your vision and health. Have you suffered from dry eye, headaches, blurry vision, eye fatigue, insomnia? If so, it is time to focus on the reality and negative result of modern day advancements – Computer Vision Syndrome. Prolonged exposure to close distance viewing of computer screens and other devices can harm your eyes. The electronic devices we use today emit artificial HEV red, green and blue (RGB) light. The worse of these is the strong HEV blue light. This blue light can penetrate the eye all the way back to the retina which can cause retina damage and lead to cataracts and sleep disorders. 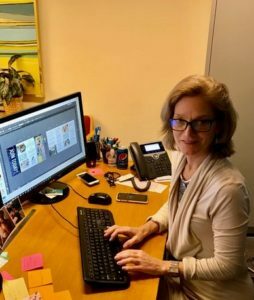 The US National Institute of Occupational Safety and Health confirms that 90% of people that spend 3 or more hours a day on a computer report symptoms of computer vision syndrome or eye strain. Already visually-challenged, I definitely don’t want to make things worse. Given all the health warnings, scientific facts and my recurring dry eye condition, I was motivated to seek out preventative care solutions. 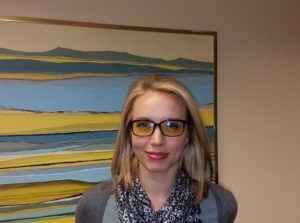 I found relief and reassurance with GUNNAR Computer Eyewear. GUNNAR is the only patented computer eyewear recommended by doctors to protect and enhance your vision. GUNNAR’s tinted and wrap-around lenses are specifically designed to combat Computer Vision Syndrome. The GUNNAR Optical line is a top pick for avid gamers and software developers who are connected 24/7 to their screens. But, GUNNAR’s technology is a scientific solution created with the needs of all computer users in mind. 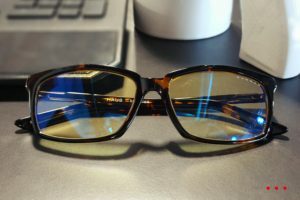 GUNNAR’s computer eyewear effectively works to improve clarity, comfort and performance while preventing eye strain. And, GUNNAR’s eye-catching styling and innovation will not disappoint even the most discerning diva. I have turned a few heads at the office with my new GUNNAR HAUS haute look. And more importantly, I experienced positive results in just 3 weeks of wear. No more mid-day headaches. No more twitching eyes from muscle strain. GUNNAR provides the total solution from FRAME To LENSES. Custom prescription lenses are also available upon request. 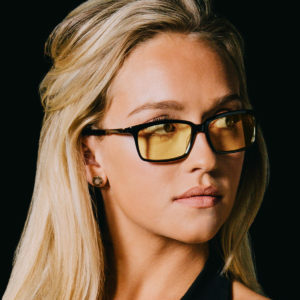 To learn more, visit the official GUNNAR Computer Eyewear website. Excellent information! I love the frames pictured! !